Earlier on in the year, the kids and I made bookmarks. While the school holidays are still in full swing I thought now might be the time to share it. It all started when Frog wanted to be just like Goose. Nothing new there. Goose (almost 9) reads “chapter books” and therefore needs a bookmark. Frog (aged 4) looks at picture books and does not really need a bookmark, but kept pinching Goose’s as she thought they were pretty and if Goose had them, why couldn’t she?! After the suggestion of making her own backfired with the flimsy paper just not being sturdy enough and the inevitable tantrum ensued, I brought out the big guns – the laminator! Do you have one? I inherited my Mums last year and I’m in love. We used origami paper, scrapbooking paper, book pages, map pages, birthday cards and anything we could get our hands on! We cut them into rectangle shapes using a paper trimmer and using a corner punch, we rounded the corners. I inherited a laminator from my Mum – how cool are they?! We popped our paper strips into the laminator sheet and put them through the machine as per instructions. Once through the laminator, we trimmed around the edges of each bookmark using scissors with a border of a couple of millimetres. On some of them we then punched a hold at the top with a hole punch and added some ribbon for something extra. Needless to say, with that amount of bookmarks (and by no means do these pictures contain all that we made!) there are no longer bookmark arguments at our house. If one gets lost, another one is easy to find! I think they’d make a lovely gift also, particularly with a child’s drawing or a photo on them. Are your children insatiable readers? Are they forever losing their bookmarks? 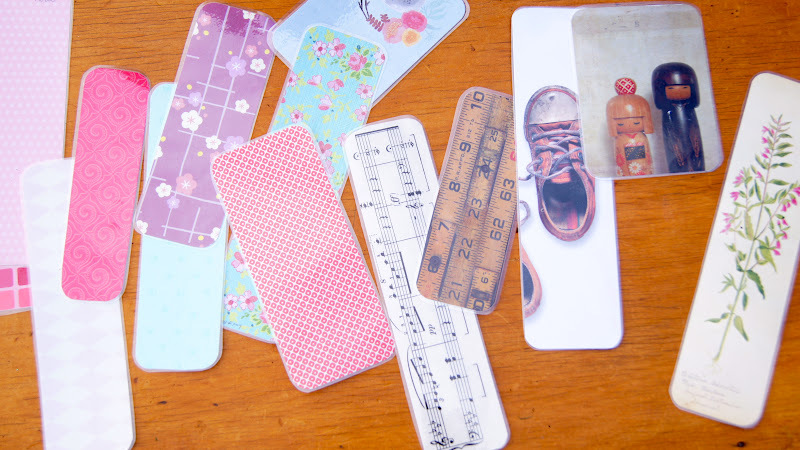 Do you have ten books on the go at one time and need multiple bookmarks yourself? Head over here for more FGB kids craft ideas. I used a laminator at work once. I&#39;d love one at home. 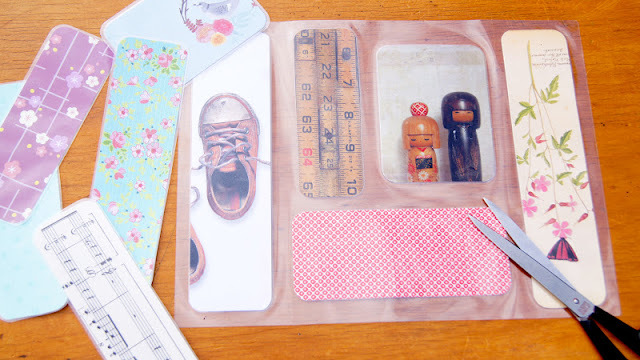 I&#39;d be laminating things just for the hell of it. Such a sweet idea. I miss access to the school laminator since I stopped teaching full time!